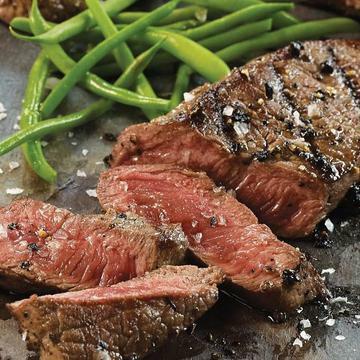 Steaks, side, and a sweet, sweet finish - you'll get it all in this Top Sirloin Steak Dinner. Perfect for four hungry dinner guests, this dinner is guaranteed to satisfy with perfectly aged, hand-trimmed Top Sirloins, Family and friends will love it roasted with All Natural Seasoning and served with our delicious Roasted Garlic Mashed Potatoes and crisp Green Beans When you're looking for dinner, this is a solution that never fails. Meal serves 4.